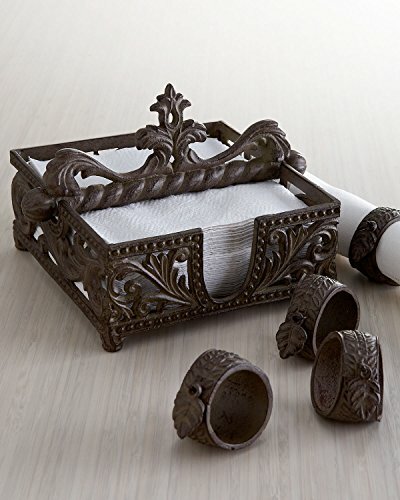 91073 Features: Product Type: -Napkin Holders. Material: -Metal. Color: -Brown. Dimensions: Overall Width - Side to Side: -5.5". Overall Depth - Front to Back: -10.5". Overall Product Weight: -1.6 lbs. Overall Height - Top to Bottom: -12". Dimensions: 7L x 7W in.